Having already revealed a portion of their 2019 lineup last month, organizers behind Halifax's OBEY Convention have made some more musical additions to this year's event. Headlining the second announce is NYC-based composer/producer Kelly Moran, whose festival appearance will mark her first performance in Canada. Following closely are Toronto duo JustJohn & Dom Dias, 75 Dollar Bill, Guttersnipe, Mary Jane Leach, Laura Ortman, Cucina Povera, Strange Froots, Soeur Acéphale and Dregqueen. Those acts join the previously announced DJ Haram, Eartheater, Tomoko Sauvage, Justice Yeldham, Mich Cota, Debby Friday, the Brodie West Quintet and Korea Town Acid. A press release notes that further acts have yet to be announced. 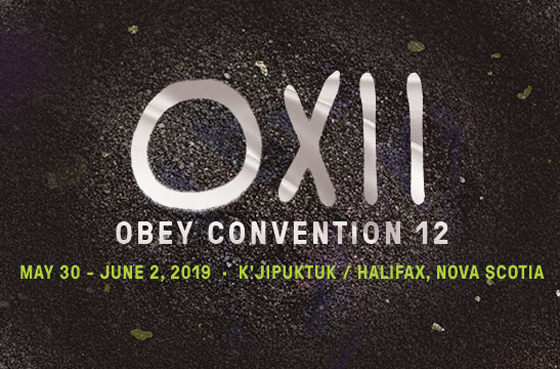 As previously reported, the 2019 edition of OBEY Convention takes place from May 30 to June 2 in a variety of alternative and historic spaces around Halifax. Festival passes are available now, with further ticketing and festival information available here.